HTC already revealed the full list of devices in its smartphone stable that will get updated to the newest version of Android, and the HTC Sensation and Sensation XE are to make the cut first. Their update already started rolling and will be on the move throughout the globe in the next few weeks. 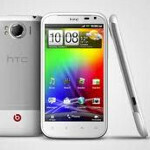 At its official blog, today HTC announced some more details which of its phones are next in line. As for timing, we’re in the early stages of rolling out Android 4.0 for the HTC Sensation and HTC Sensation XE and upgrades will be more widely available in the next few weeks. The update for the HTC Sensation 4G and HTC Sensation XL will follow. Please note, once we start pushing out updates it will take time for all carriers in each country to get the update. We are working closely with our carrier partners to nail down update schedules for our other smartphones and will have more to share very soon. woot! cannot WAIT, should hold me off until all the Next gen phones come out. would ICS update then possibly make it to the Inspire 4G??? I really want to get the update if possible, otherwise strongly considering all high-end dual-core phones out there in the market right now, as well as the One XL. Inspire 4G is not good enough for me in terms of the specs, but I really love the design of this phone, its really nice. well anyways, theres a lot of ported Sensation XL roms for Desire HD.. This is great news! I really need the performance boost that ICS is suppose to bring b/c I am on my 4th Sensation and getting a 5th is out of the question. It just has to last me until Sprint releases its LTE network and the Galaxy Nexus then its adios T Mobile. My Desire HD is 4th on the list... If only its update would also be so... Not expecting it before Q3. cant wait to get it on my sensation! So the t bolt will get ICS, but no og EVO? Evo and TBolt have different specs, the processor in the TB is better and can handle more.